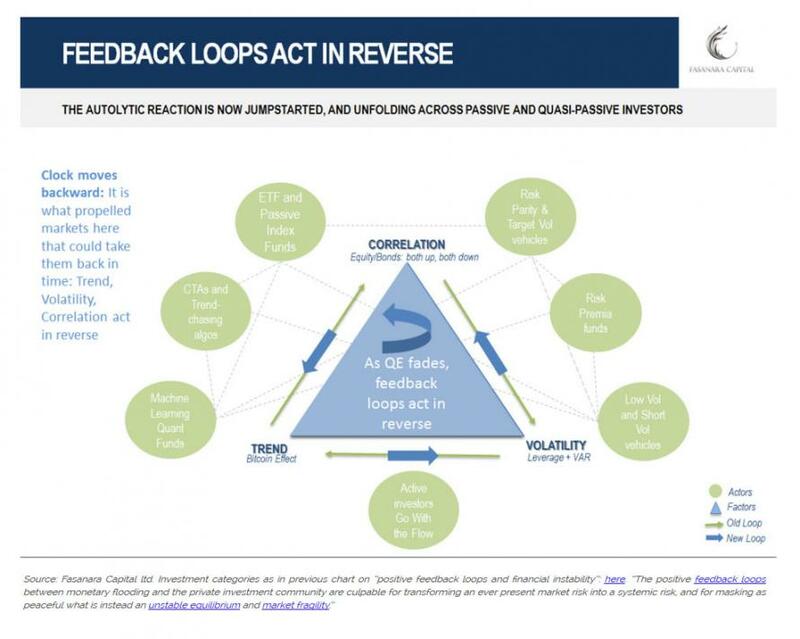 Fasanara Capital: The Vol Feedback Loop Has Reversed; What Comes Next? While the crisis may be over for the time being, a dominoes of cause-effect relationships has been triggered, which leads to a possibly tough Q2/Q3 if volatility persists. The autolytic reaction is now jumpstarted, but will take time to spread across. If this scenario proves right, what may we see from here? ​Volatility (implied and later realized) further spreading to nearby asset classes. ​Critical slowing down. This is a general property of a system approaching critical transitioning into an alternative stable state, according to professor Marten Scheffer (as described in edge of chaos). The speed with which markets return to new highs, assuming they do, is slower than previous recoveries (Nov16 Trump election, Jun16 Brexit, Jan16 commodity slide, Aug15 Renminbi deval, Oct14 slide, among others). ​Correlation increasing across asset classes. The sneaky Beta to the downside risk which surfaces during times of stress. Naturally, ETFs and passive index funds are programmed to follow through, whatever the circumstances, mechanically and unemotionally. Sentiment may further exacerbate the move, as ‘noise traders’ with incorrect beliefs – in the definition of Richard Thaler – create additional pressure at turning points (page 23 here). Eventually, it becomes a game of musical chairs. The motto goes: if you need to panic, panic early. Especially true for institutional investors, as the imposition to sell can come for one of two reasons: model-driven, due to an increase in realized volatility, a broken trend, a flipping correlation... or client-driven, due to redemptions. The earlier of the two. The structure of the market is the key driver of market dynamics in a QE world, above all over-fitting economic narratives: the interaction of Trend/Momentum, Volatility, Correlation. 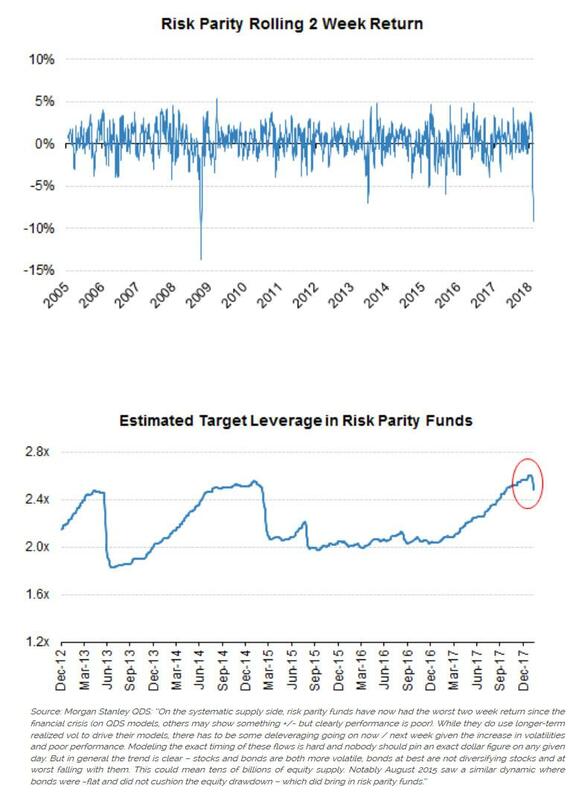 Factors such as Trend and Volatility, disseminated across the industry in the last several years, under the push of QE and NIRP, and created Correlation across 90% of the investment strategies (here), leading to an unstable equilibrium vulnerable to small perturbations. They can now all act in tandem again, but in reverse.